By Consumer Guide’s reckoning, the Jeep Grand Cherokee is a crossover midsize SUV. Crossover implies a vehicle that does most of what a sport-utility can when necessary, but one that’s built with some lighter components for easier street driving and better economy most of the time. However the Grand Cherokee Trackhawk’s crossover move is one from SUV to street terror. This 2018 addition to the Grand Cherokee lineup blasts its way upon the motoring scene with the 707-horsepower 6.2-liter supercharged Hemi V8 from the Dodge Challenger and Charger Hellcats. Thus equipped, Jeep says its hairiest hauler can go from 0 to 60 mph in 3.5 seconds. The extra-meaty wheels and tires, lower stance, vented hood, and more-aggressive front and rear fasciae give away the Trackhawk’s super-performance capabilities. Now the bad news: It doesn’t come cheap. The starting price is an imposing, Land Rover-like $85,900. That’s $18,505 more than the Grand Cherokee SRT with a 475-horsepower 6.4-liter unblown Hemi, which itself is hardly shabby as a hot rod SUV. 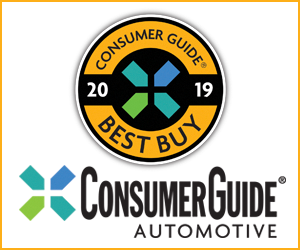 CG’s test vehicle came to a towering $90,880 with delivery and options that included an audio upgrade and black-finish alloy wheels on 3-season tires. The Trackhawk’s power is prodigious—for sheer horsepower there’s nothing like it, even in the more rarified reaches of the luxury SUV field. But it comes in an essential Grand Cherokee package that’s been around since 2011. Since then, Jeep has taken regular steps to keep its largest vehicle as up to date as possible. In addition to the Trackhawk’s power infusion, all Grand Cherokees now come with Apple CarPlay and Android Auto smartphone connectivity, and the available 8.4-inch Uconnect infotainment touchscreen (included in the Trackhawk) gains pinch and zoom functionality and increased resolution. The Trackhawk’s cabin is about as luxurious as a Grand Cherokee gets; suede and Nappa leather upholstery are standard, as are a host of comfort and convenience features. The UConnect 4C touchscreen infotainment system includes a broad range of “Performance Pages” readouts that include controls for powertrain/chassis settings as well as real-time recorded-performance-data displays. The Trackhawk gets down to serious business with more than just its engine. It incorporates an electronic limited-slip rear differential with an aggressive 3.70:1 axle, a 700-amp battery, and heavy-duty cooling. Its 8-speed automatic transmission is a little beefier than that of other Grand Cherokees. Underneath are a Bilstein adaptive competition suspension and Brembo 4-wheel disc brakes with 15-inch rotors in front. Of course, the thing no Trackhawk driver will be able to overlook is what happens when the accelerator is pressed. The truck taps into 645 lb-ft of torque, which makes it ready to leave in a hurry. With the console dial for the standard Selec-Track drive-mode system turned to “Sport,” the ’Hawk absolutely bolts from a standstill, leaving some exhaust burble and a whiff of supercharger whine in its wake. 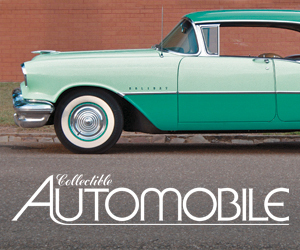 Expressway cruising is effortless, with the auto trans happy to kick down and get you on your way when passing. The heart of the Trackhawk is FCA’s ferocious supercharged 6.2-liter Hemi V8, which is borrowed from the Dodge Challenger and Charger SRT Hellcats. It puts out the same horsepower here as in its passenger-car kin–a whopping 707. The other thing that happens when the accelerator is pressed is fuel starts flowing freely. The EPA rates the Trackhawk at 11 mpg in city driving, 17 mpg for highway operation, and 13 combined. With a slight majority of city driving in our test drives, we averaged a mere 11.4 miles per gallon on the recommended premium gasoline. Oof. There’s a reassuring firmness to the ride but without a major sacrifice of comfort, especially in “Auto” mode. (Some drivers may find that Sport crosses a line into too firm for everyday commuting.) Steering is quick enough to keep you from wondering if the big lug will be able to keep up with your desire to get around a tight bend, and cornering lean is well managed. 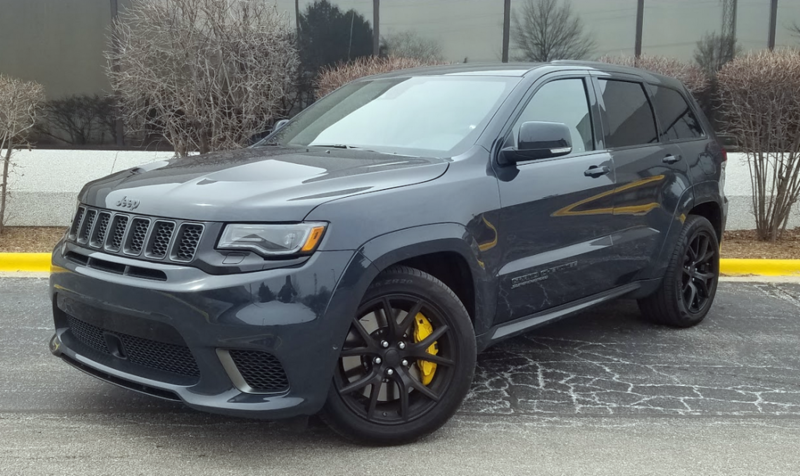 The SRT and Trackhawk come with Quadra-Trac all-wheel drive. This automatic system channels torque evenly to all wheels until wheel slippage occurs. Then the traction-control system kicks in to help transfer torque to the wheels with grip. In addition to Auto and Sport, Selec-Track has “Track,” “Snow,” and “Tow” settings, as well as a custom setting to tune inclement-weather capabilities to the driver’s preference. The Trackhawk has a basic 3500-pound towing capacity—low by Grand Cherokee standards—but it can be optioned to the vehicle line’s full 7200 pounds. A check of some other Trackhawk standard equipment includes autonomous emergency braking, lane-departure warning, rear cross-traffic alert, adaptive cruise control, and parallel-parking assist. Drivers grip a heated power tilt/telescoping steering wheel. Distinctive seats feature Nappa leather astride suede centers on cushions and seat backs. The power front seats include a driver’s-seat memory function, and they’re heated and ventilated, too. Rear seats are heated. Outside are 20-inch polished alloy wheels (superseded on our tester by the optional $995 Black Satin aluminum wheels), bright quad exhaust tips, high-intensity-discharge headlamps, and rain-sensing windshield wipers. Standard all-wheel drive, monstrous Brembo-brand brakes, and extra-wide 20-inch wheels and performance tires help keep the Trackhawk’s prodigious horsepower in check. The AWD system and the tires’ massive contact patches provide mind-bending acceleration from a stop–especially when the standard Launch Control system is utilized. Controls show up well. A large vehicle-information display is between the 200-mph speedometer and tachometer dials. The audio system is a snap to program on the big 8.4-inch screen that’s also home to the Performance Pages, virtual gauges that let you time your own 0-60 sprints and racetrack laps. Climate controls blend rotary dials and buttons. Second-row occupants have their own temperature controls, seat-heat switches, and USB ports built into the back of the center console. The interior is comfortable and roomy for those seated up front. Second-row legroom is good, too, though it’s apparent that longer-legged front passengers who track back far in their seats could substantially reduce that. A minor central floor hump makes a 3-person squeeze across the rear seat a possibility, though the middle passenger will sit slightly knees-up while resting against an unyielding section of the seat back. Rear back rests recline. Step-in is a little high, but driver vision to most directions is not bad. Interior storage up front is passably accommodating with short pockets and bottle holders in the doors, two console cup holders, a small covered bin for electronic devices at the front of the console, a big glove box, and a moderately sized console box. In the rear are two net pouches, bottle holders in the doors, and a pull-down center armrest with dual cup holders. Rear cargo space is quite good, though liftover is a bit high. There’s lots of room under the load floor—because there’s no spare tire—plus a shallow open bin at the left. For extra cargo space rear seats fold in a 60/40 split, and drop nearly flat. Hinged panels smooth the transition from the cargo floor—which is just right for a vehicle that’s all about crossing over. 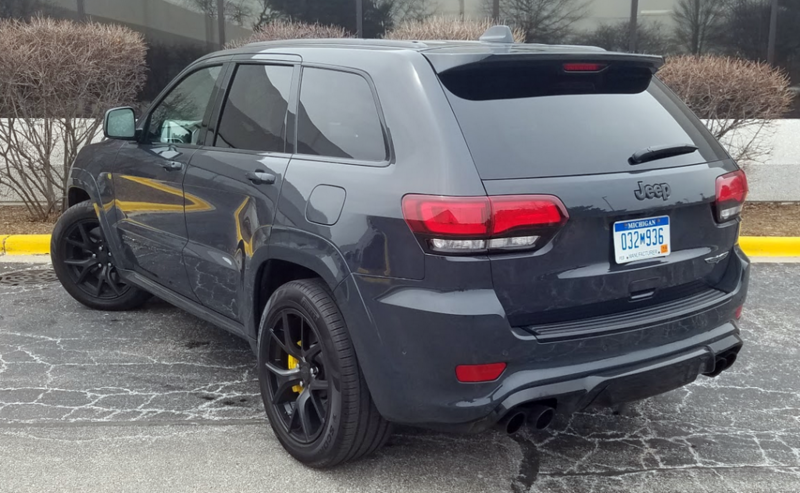 The new-for-2018 Jeep Grand Cherokee Trackhawk model is a mad-scientist melding of the muscular Hellcat Hemi V8 with a high-performance all-wheel-drive system, all shoved into the basic Grand Cherokee platform and dressed up with high-end interior trim and features. All of this has the expected effects: steep sticker prices, terrible fuel economy, giggle-inducing accleration and handling, and–probably–frequent trips to the tire store for new rubber. Written by: The Daily Drive staff on May 25, 2018.on March 22, 2019.